Naval Support Activity Mid-South is located in Millington, Tennessee and serves as the Navy's Human Resources Center of Excellence. The mission on base is to enable manpower management for the Fleet and career management for Sailors and their families. 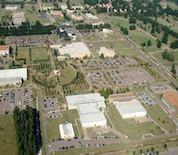 Major units stationed at NSA Mid-South include the Navy Personnel Command, Navy Recruiting Command, Navy Manpower Analysis Center and the US Army Corps of Engineers Finance Center. The city of Millington is approximately 21 miles north of downtown Memphis. NSA Mid-South is among the largest employers in the state of Tennessee and host numerous events with and for the local community. The base is host to the annual Navy Ten Nautical Miler race. This NSA Mid-South directory features the critical info you’ll need to navigate through the many facilities and recreational opportunities available on base.